Behold plays like an audio time capsule built of saxes, trombones and other horns (even tubas! ), upright bass, brushes on drums, mellow sounding hollow body guitars, and vocals that are rich and distinctive but still somehow laid-back in their feel. Whereas Lauren Daigle s debut album was energy-laced, radio-ready pop, her Christmas project seems in some ways to be a confident re-imagining of her own versatile vocal gifts, showcased in a more mature and subdued, but also more eloquent, context. 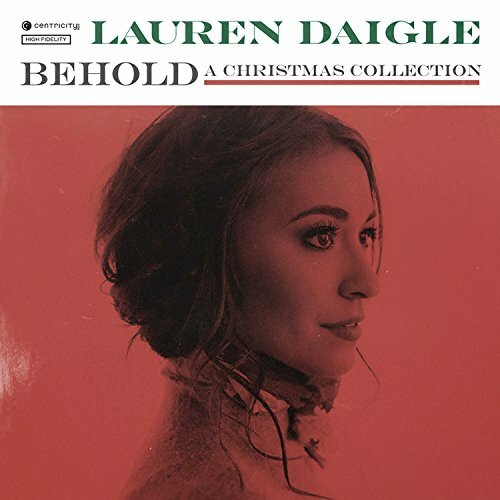 Behold includes nine yuletide standards and one original a tender, jazz reinterpretation of Lauren s first radio single Light of the World. Worshipful favorites like O Come All Ye Faithful and What Child Is This (here given a unique, uptempo feel with a fun tip-of-the-hat to Favorite Things from The Sound of Music) take their places alongside festive holiday fare like Jingle Bells and Merry Little Christmas.